What makes Long Beach special? 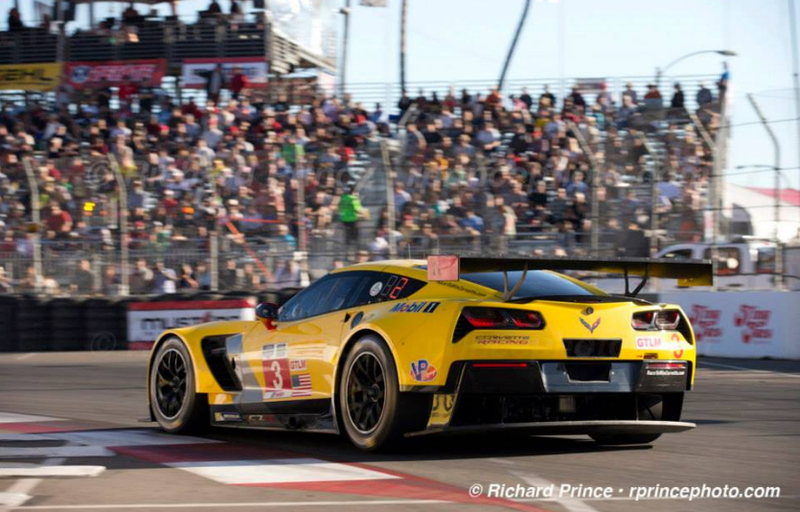 After the longest 2 races of the USCR series in Florida, the drivers and teams headed west for the Tequila Patron Sports Car Showcase on April 12 at Long Beach. 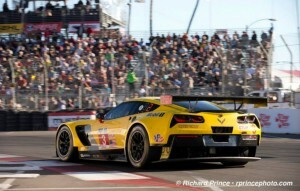 The 1.968-mile (3.167 km) temporary road course is the third round for the USCR Prototype and GTLM class sports cars. This one hundred minute sports car race, the shortest of the 2014 season,is held on Saturday before the Indy Cars take to the track on Sunday. 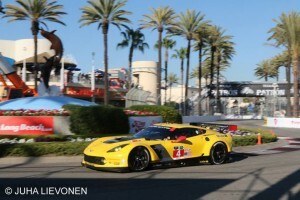 The ALMS and the Corvette Racing Team first appeared in the GT1 class at Long Beach in 2007. They took victories in the first three races. Subsequently more challenged in the GT2 class, the Corvette Racing team notched its fourth and most recent Long Beach victory in 2012 with Oliver Gavin paired with Tommy Milner. 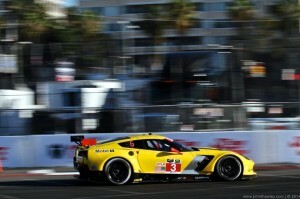 While the former ALMS Series has experienced Long Beach’s tricky street course, the former Grand-Am Series raced there just once in 2006 with Daytona Prototypes. Ganassi Racing drivers Scott Pruett and Luis Diaz came away with the victory in a twenty-six car field. 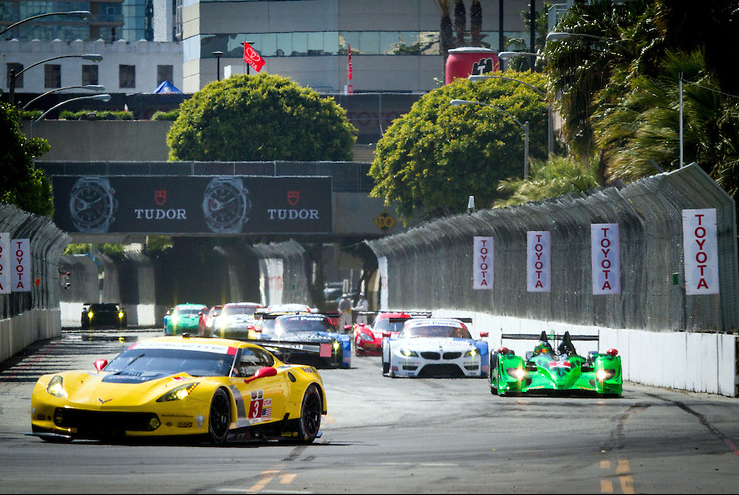 Twenty-one cars are entered for this weekend’s Long Beach round with eleven in the Prototype class and ten in the GTLM class. Just like the previous round at Sebring, the Daytona Prototype Corvettes will make their maiden appearance on the Long Beach circuit. The cars proved they can handle Sebring’s teeth-rattling bumps, leaving them to deal with the confining walls of the Long Beach circuit. GTLM winners Magnussen & Garcia tell their story Eric Curran debriefs, "P car is a steep learning curve"